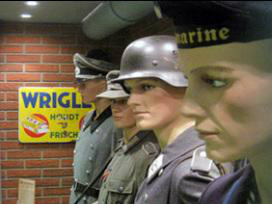 During your visit you will learn in chronological order, about the many facets of Atlantikwall history, such as previous history, bunker construction, (forced) labour, communications and effects on the local population. The Atlantikwall as a whole is treated in the first part of the exposition. You will gain an understanding of the structure of this line of defence, as it was implemented along a major part of the European coast. 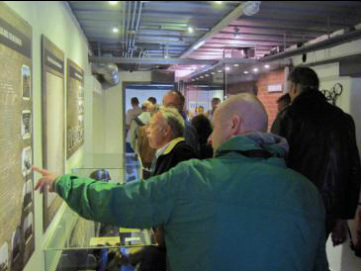 The Festung Hoek van Holland (fortress Hook of Holland) is examined in the second part of the exposition. The Germans designated Hoek van Holland as the most important coastal position in the Netherlands, because it could deny any invader access to the major port of Rotterdam and the land behind it. The Festung Hoek van Holland consisted of a southern part (south of the estuary known as ‘Nieuwe Waterweg’ or ‘new waterway’) and a northern part (north of the estuary). Both are comprehensively examined in the exposition. 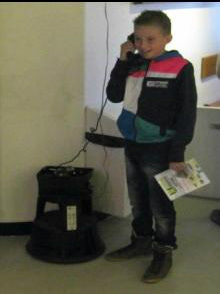 For example, displays measuring several metres in height, cover the walls of the gun room with aerial photographs of Hoek van Holland. These pictures were taken on Allied reconnaissance flights during the war. 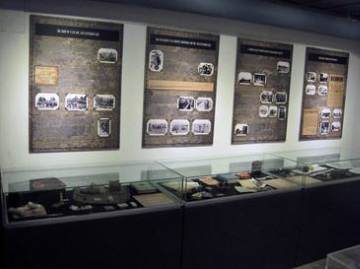 The exposition further consists of many photos and artefacts. The museum does not use any replicas, everything in the exposition is original. You are free to walk around the exposition in any order and to take your time to experience everything. Would you rather like to take a tour of the exposition from one of our guides? We will be happy to oblige. The bunker is in itself an impressive part of the exposition. 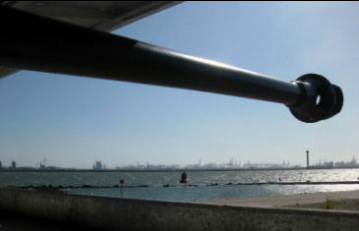 The type 611 bunker, designed to station a field gun, is situated along the ‘Nieuwe Waterweg’, close to the beach. In the event of an invasion the gun could fire at tanks approaching on the beach. 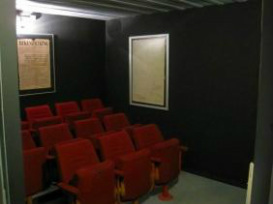 Because of this purpose, the museum decided to refit the bunker with a German anti-tank gun several years ago. It is a 7,5 cm gun of the type ‘Panzerabwehrkanone 40’ (‘PAK 40’). It is moved to its firing position on opening days. A sight to behold! 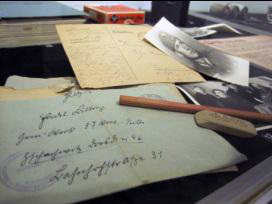 offer several documentaries related to the Atlantikwall and the Second World War. are allowed to touch, grab and even try out certain objects. They can for example operate the bunker ventilation system, use German field telephones and even load the 7,5 cm gun!